The recent arrest and manhunt of eight youths for participating in a [Marxist] reading session at Guangdong University of Technology (GUT) caused a major public uproar. Numerous students and other people have expressed solidarity with the youths and called for justice. The severe handling and the public response to the “Eight Youths” Incident are unheard of. The incident has yet to be publicly confirmed by the police since their intrusion of the reading session on November 15th, 2017. Zhang, Sun, Zheng, and Ye are bailed from remand while the other four youths are still wanted. This article summarizes public information published by various media platforms, organizes the important stages of the incident, and aims to provide a detailed and clear understanding of the whole incident. Security personnel intruded into the classroom when Zhang Yunfen and others were attending a reading session organized by students in a classroom of Guangdong University of Technology (GUT). The front and the back of the classroom were blocked by school security and Public Joint Defense Force members wearing steel helmets. The police took a number of participants to the police station before Zhang Yunfan and Ye Jianke were criminally detained the next day for “crime of assembling crowd to disturb public order” due to not carrying personal IDs. Students participated in reading sessions were repeatedly warned and interviewed by the police and the school. The reading sessions were put to a halt. 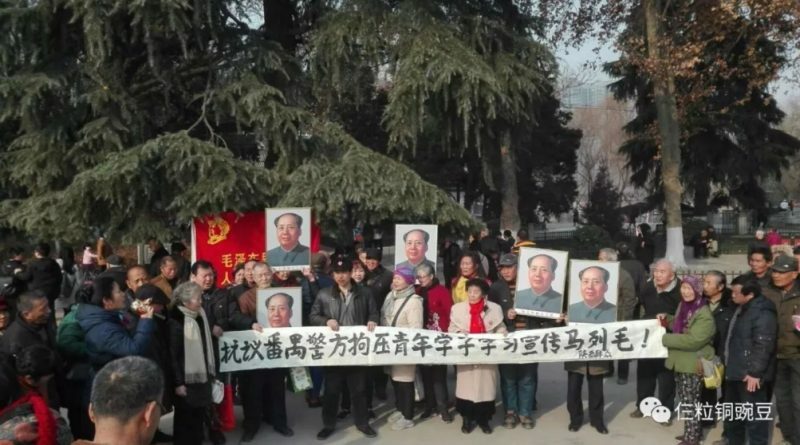 According to the confession filed afterwards by Zhang Yunfan and Ye Jianke, the reading session was discussing current events such as the removal of “Bao Zou Big News Events” videos, lack of freedom of speech, the student movement in late 1980s, and the problem of workers’ rights. The youths’ confessions showed that the only possible “criminal acts” they committed were organizing or participating in on-campus reading sessions and organizing cultural and entertainment events for logistics workers, none of which violates the Criminal Law and meets the measurement of Crime of assembling crowd to disturb public order, which is “with serious consequences; where the process of work, production, business, teaching, and scientific research are disrupted; and where serious losses have been caused.” However, the Panyu Police Department has yet to release more details about their criminal activities to this day. The police intruded into the residence of the organizer of the reading sessions, university graduate Zheng Yongming, took him to the police station for simultaneous interrogation before classifying him as “ringleader”. 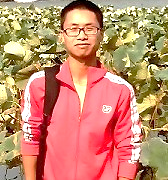 Zheng Yongming was criminally detained. The police intruded into the apartment of reading session participant Sun Tingting at 10 pm, searched her residence without displaying any permits, before taking Sun Tingting to the police station and coerced her to inform them about the status of other members. The police searched her apartment again and confiscated a large amount of her personal belongings the following day and criminally detained Sun Tingting that night. According to the law, criminal detention must meet two conditions: first, the target of the detention is In flagrante delicto or a major suspect; second, under one of the emergent situations as defined by law, such as a victim or an eye witness. No “emergent situations” occurred when the two youths were arrested, not mentioning Zheng Yongming and Sun Tingting were no longer present in the mentioned reading session on Dec. 9th. 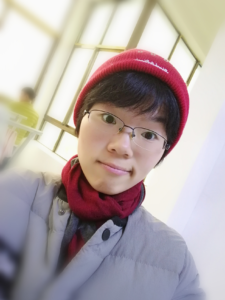 The police listed Sun Tingting’s detention as criminal detention because “their electronics only recognize one type of detention”, while superseding the legal regulation that criminal detentions are to be no longer than 14 days and detained Sun Tingting at the detention center for 26 days. 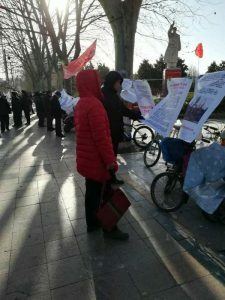 The police changed the criminal coerced actions of Zhang Yunfan and Ye Jianke to Residential surveillance at a designated place. Zhang Yunfan was detained at a secret location during this period. 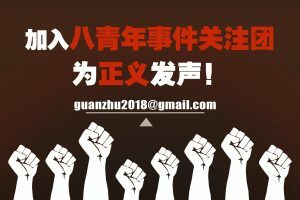 The Open Letter to the Panyu Police Department, Guangzhou regarding Peking University (PKU) graduate Zhang Yunfan Suspected of Committing “Crime of Assembled Crowd to Disturb Public Order” was published openly online, which described to the public the situation of Zhang Yunfan and called for public support. It was signed by various famous professors and scholars including Qian Liqun, Kong Qingdong, and Yu Jianrong and numerous other people. The Open Letter was deleted repeatedly but the list of signatures kept increasing. Various Weibo and Weixin public accounts published articles to express solidarity. 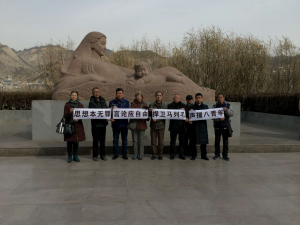 The publishing of the Open Letter gradually spread the news of the incident and attracted widespread attentions and discussions from all sectors of Chinese society. 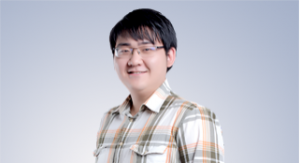 During the period, information related to Zhang Yunfan including the article PKU Philosophy Department Graduate Zhang Yunfan which revealed his outstanding academic achievements and active participation in events furthering public interest was made public. The Panyu Police Department was facing massive public pressure formed by simultaneous increase of signatures, involvement of various known public figures, discussions and support from students, and foreign media reports, and was forced to terminate the Residential surveillance measures after 14 days instead of the planned 6 months. Zhang Yunfan and Ye Jianke were bailed after 14 days of residential surveillance. Professor Zhang Quanfan of the PKU Law School published the article “Freedom of Speech regardless of Left or Right” and expressed support from the standpoint of defending freedom of speech. Sun Tingting and Zheng Yongming were bailed. Zhang Yunfan publicly published “My Confession to the People” on his Weibo, explained the whole story, and mentioned the police forced him to account for the non-existent “secret activities” and “secret organization”, that “there is no need to worry about finding a suitable pretext if they want to find fault with someone”. The Confession pointed out that four more youths including Xu Zhongliang, Han Peng, Huang Liping, and his girlfriend, Gu Jiayue are still on the run from police manhunt, called on the public to support the youths suffering from injustice, and stated that he is prepared to face the danger. 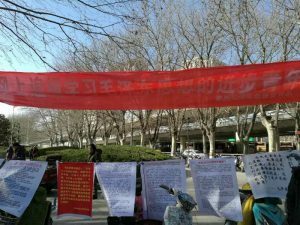 Various PKU students started to put attention on the incident after the publishing of the Confession, articles like “Remembering Alumni Zhang Yunfan” were widely distributed, group chats on Weiming BBS, Wechat and QQ discussing this incident were founded voluntarily by students, and songs about the eight youths calling for progressivism and justice were composed. However, related content and group chats were repeatedly banned, students confessed their love to Zhang Yunfan on the BBS were muted, and those who reposted the articles were interviewed by teachers. It was gradually known to both the students and the wider public that Zhang Yunfan was a former leader of the school’s Association for the Study of Marxism, was deeply concerned with the situation of workers when he attended school, launched investigation on the situation of logistics workers in the PKU, which produced a report revealing the chaotic logistics employment that caused widespread public reaction and lead to a half-year ban on the student organization’s activities. Zhang’s confession dispelled some concerns about the truth. The idealistic spirit of Zhang Yunfan’s firm commitment to the perspective of the proletariat alongside Marxist beliefs and his courage to take up responsibilities with the lack of fear of tyranny are particularly touching. One after the other, peers of other youths started to publish articles, which showed to the public the youths’ pursuit of value concerning the interest of the lower class and commitment to their ideals in addition to their noble characters and actions, denouncing the action of the Panyu police department. Sun Tingting’s Weibo account published “I’m Sun Tingting and I’m Standing Out”, revealing the chaos she experienced both prior and after her arrest including the police’s unwarranted search, illegal detention, and the harsh conditions and mismanagement of the detention center, questioning the police’s treatment of an innocent young woman which lead to her physical collapse, removal from her job, stained reputation, and major economic burdens. The suffering of Sun Tingting as an ordinary participant of the reading sessions and a civilian girl advocating for the furthering of public interest caused widespread compassion and solidarity, as the word “Sun Tinging” entered the list of top Weibo searches. However, the Weibo account of Zhang Yunfan, Zheng Yongming and Sun Tingting were all subsequently terminated. “‘Ringleader’ Zheng Yongming: I Will Always be the Son of Workers and Peasants” was published. 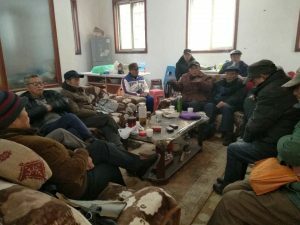 Zheng Yongming, organizer of the reading sessions said he will face the stormy waves and fight for justice with the youths, and he himself will always help workers and peasants to struggle for better lives – he is “unrepentant”. Masses held demonstration in the streets of Xi’an, Shaanxi Province holding portraits of Chairman Mao, denouncing the removal of Mao statue in Luoning, and displayed banners with the slogan “Protesting the Arrest and Repression of Youths Studying and Applying Marxism-Leninism-Maoism by the Panyu Police Department”, signed “Masses of Shaanxi”, supporting the Eight Youths with their actions. Confession of one of the wanted youths, Huang Liping “The People Will Decide if I’m Guilty or Not” was published, questioning how the Xiaoguwei Police State can stand true to the slogan “People’s Police for the people”, and said “I hadn’t, haven’t, and will never consider myself guilty”, the police can’t cover the eyes of the popular masses. Xu Zhongliang published “I Don’t Believe Canton is Still Under Kuomintang Rule” and expressed willingness to answer any questions regarding his mental state and his actions in Guangzhou. He does not fear death, he said, but the police must give the people an answer. 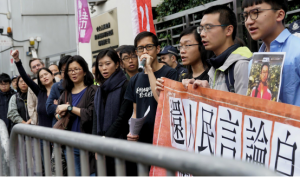 That afternoon, Hongkongese leftist and pan-leftist organizations including “Left 21”, League of Social Democrats, and New School for Democracy held demonstration outside the Hong Kong Western Police Station. The marchers made their way to the Liaison Office of the Central People’s Government with pictures of the youths and banners, protesting the illegal repression of leftist youths by the Chinese Police. 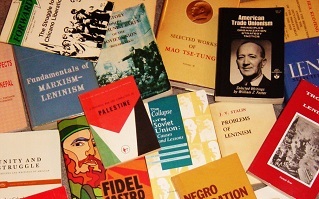 “Left 21” also launched cosignatory supporting the leftist youths participated in reading sessions. 19 organizations including the Neighbourhood and Worker’s Service Centre, Labour Party, League of Social Democracy and Hong Kong Alliance in Support of Patriotic Democratic Movements of China and 20 individual activists have signed as of Jan. 25th. The two offline actions are no doubt more powerful than online support and showed fully the massive dissidence this incident caused. Various leftist activists acknowledged the Youths are the progressive force of the society, and stated, that this showed the hypocrisy of mainstream Chinese propaganda, as the modern Chinese state claimed to adhere to Marxism-Leninism Mao Tse-tung Thought but are arresting the youths believing and spreading the same exact thoughts, and the people are refused the right to speak in a country “ruled by the people”. Zhang Yunfan published the poem “In Memoriam Comrade Han Xiya” before attending the memorial service of communist activist Han Xiya. 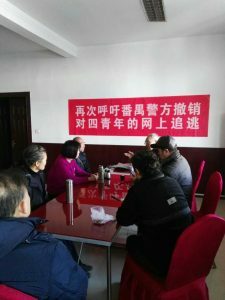 The same day, Panyu Police Department crossed provincial lines and arrived at Muyang, Jiangsu Province, ordering a Sun Tingting still recovering from police brutality in her hometown to check in at the local police station every day at 10 am. National Defense Agency personnel from Panyu, Guangdong crossed provincial lines and interviewed Zhang Yunfan in Beijing for 2 hours, likely pressuring on him. 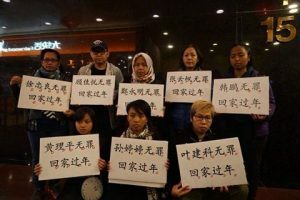 The “Initiative Calling for All Sectors of the Society to Continue Focus on the Proper Resolution of the ‘Eight Youths of the Guangzhou Reading Sessions’ Juridical Dispute” is jointly published and signed by 36 important left-wing figures and called on the concerned masses to form “Eight Youths Monitor Groups” and join the petition. The initiative stated the Eight Youths are innocent and proposed the youth to “clarify the situation” at local police stations. The list of signatures is simultaneously increasing and got 860 signatures in two days. Ye Jianke’s article “Withdraw Charges and Stop the Manhunt of Xu, Han, Huang, and Gu” is published on the website Epoch Pioneer (时代先锋), explained the details of the incidents, and revealed the police tried to trick him into “working for the government” and asked him to “call the police in prior” the next time he participates in similar events. Ye Jianke stated at the end of the passage that he will debunk the façade spread by the police. All sectors of the society are still watching the “Eight Youths Incident” closely to this day. 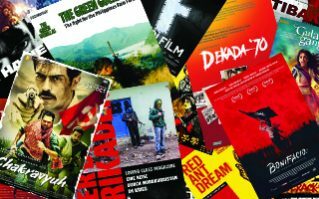 The people are still seeking final justice, whether proposing the decriminalization of spreading Marxist-Leninist-Maoist ideas or calling for the rule of law and human rights. In this incident, the police arrested and detained participants of the GUT study sessions in the name of repressing the so-called “anti-party, anti-socialist” organization. It is trying to create a gross injustice ignoring the rule of law, intentionally confusing truth with falsehood, and disguising it as a “glorious achievement” during the course of “maintaining stability”. It can be observed from the actions and attitudes of the Xiaoguwei Police Station that plenty of similar injustices are likely to be found in the local bureaucratic system. Are injustices like this unavoidable? Fortunately, the façade is shattered by the Eight Youths and the plan of the Xiaoguwei police station has been foiled. At first, the broad progressive force pressured the police, before the youths – only temporarily regained their freedom – stood out bravely, revealed the dark practices of the police force, called for the withdrawal of charges, defended freedom of beliefs and justice without any fear of the danger they could face. It is those confessions that showed people the truth that no power can hide and the courage of the youths that aggregated people’s faith in justice together against the unjust. The people, regardless of their occupations or political affiliations, have repeatedly spoken up not only for the innocence of the youths but also for their firm beliefs and for human rights and freedom. However, the voices of justice are subsequently being smothered by the authority. Large quantities of articles were deleted, accounts and group chats banned, all features of public accounts reporting the incident like “Yehuo Ba” were disabled, the blockade action is speeding up, but the police have yet to respond directly and explain their actions. To this day, we still call for the authority to withdraw all charges, to give the youths innocence and freedom, and to give the people justice. In early 2018, a few youths have suddenly drawn attention of the public. It seemed the people’s resistance is weakening, and the free space left is decreasing in front of the state power, especially after series of incidents like “Sexual Harassment Incident” or “Cleansing of Low-end Population”. However, the Eight Youths and the righteous have stood up and spoken up in this incident, calling on the people to resist tyranny, fight for justice and freedom, and pursuit and act for the idea of social progress, just like a sea of burning torch in this frigid winter night, illuminating our path forward. Youths like this and the ones that spoke up for the youths are representatives of the spirit of the people, and are the hope for equality and justice in this society!